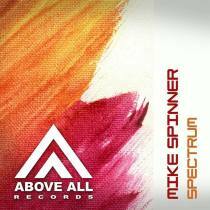 With “Spectrum” Mike Spinner shows the more Progressive side of him. Pumping dirty basslines who bring you to the melodic break as we are used to from Mike. STA is releasing a lot lately and with this new remix he proves to be developing rapidly by showing a more Tech-Trance side of him. He has put a lot of energy in this driving Trance track and his pumping driving acid bass will make you dance!